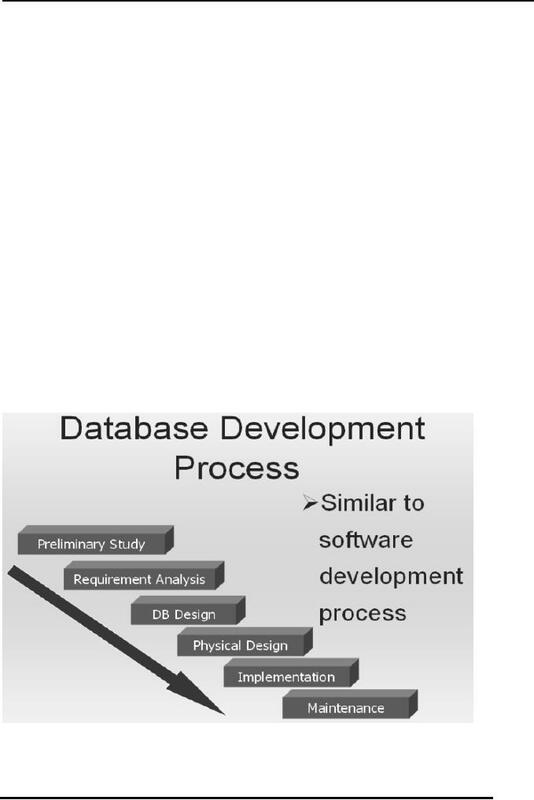 directly related with the design and development of database. 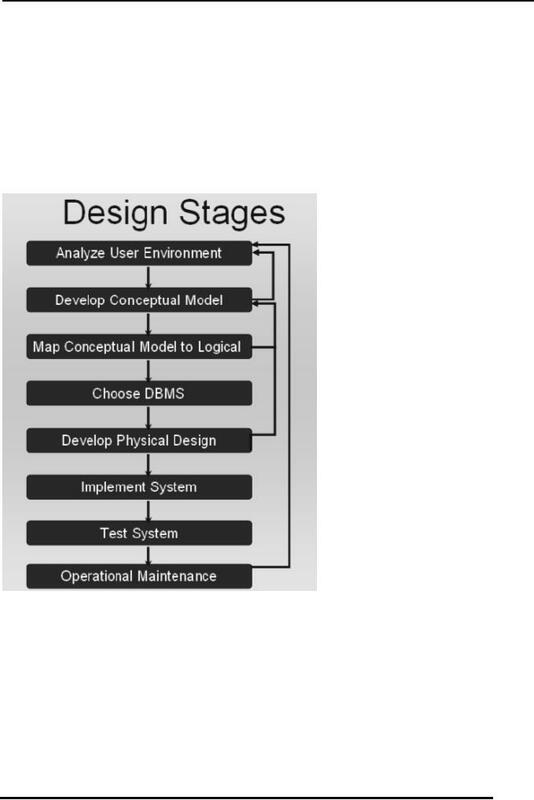 this course is the design stages of the database, it concentrate only on those. the database design is given great attention when designing a database application. each stage of the system. functionality decisions made at this stage decide the overall activity of the organization. precisely define the activities taking place in the different section of the organization. relationships are built and different types of entity mappings are performed. made on the basis of requirements and the environment in which the system will operate. DBMS in not capable of providing the desired efficiency. for all the organizations, it may vary for different organizations. application are expressed graphically in Figure-1. get properly working and good system design and a better working environment. 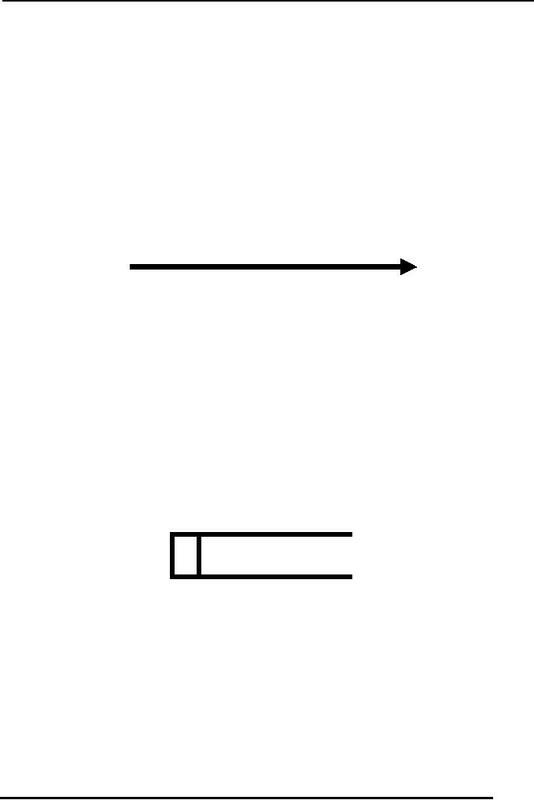 expressed in the diagram by showing an arrow from this stage back to the first stage. take care of all the necessary requirements of the environment before making a decision. different users and user groups of the organization. functionality of all database applications and modules. system to keep the system in working order. designer and the user to mutually agree on a specific design. DFDs show the flow of data between different processes o a specific system. DFDs are simple, and hide complexities. 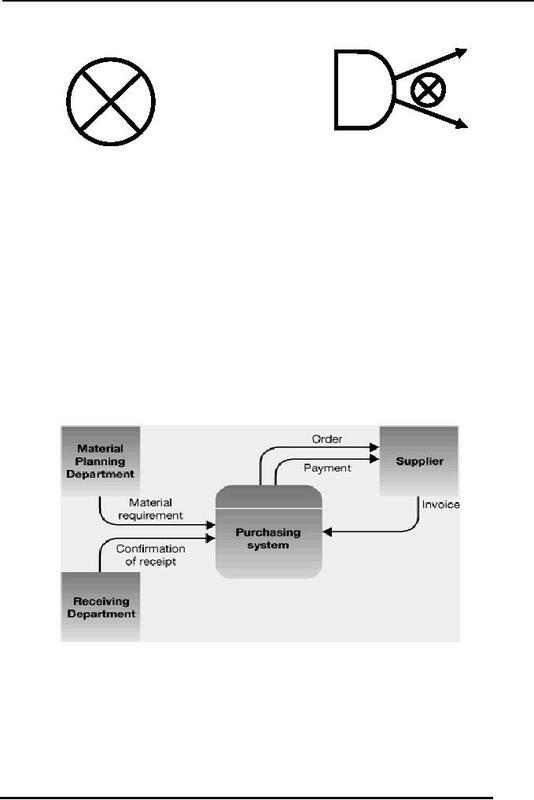 DFDs are Descriptive and links between processes describe the information flow. They do not provide us a way of expressing decision points. DFDs are focused on flow of information only. 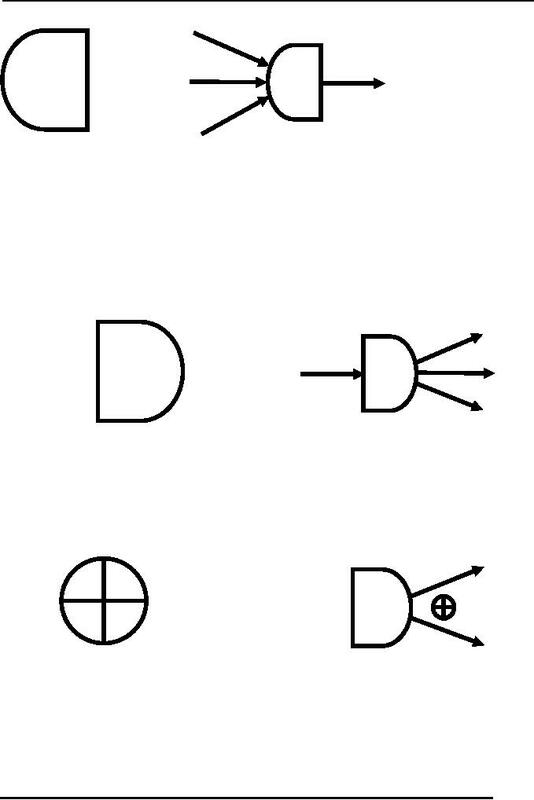 There are a limited number of symbols which are used for design process in DFDs. Data flows are pipelines through which packets of information flow. 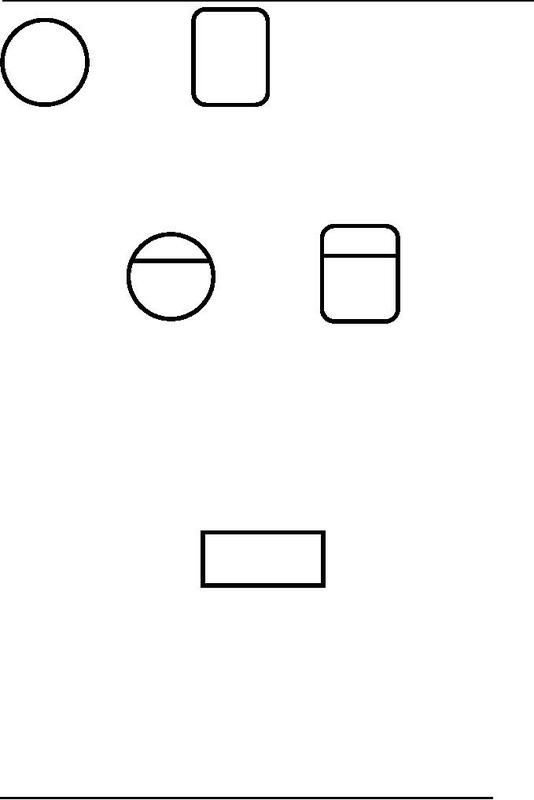 rectangle drawn with double lines. sinks is known as a separator. may appear in a DFD. 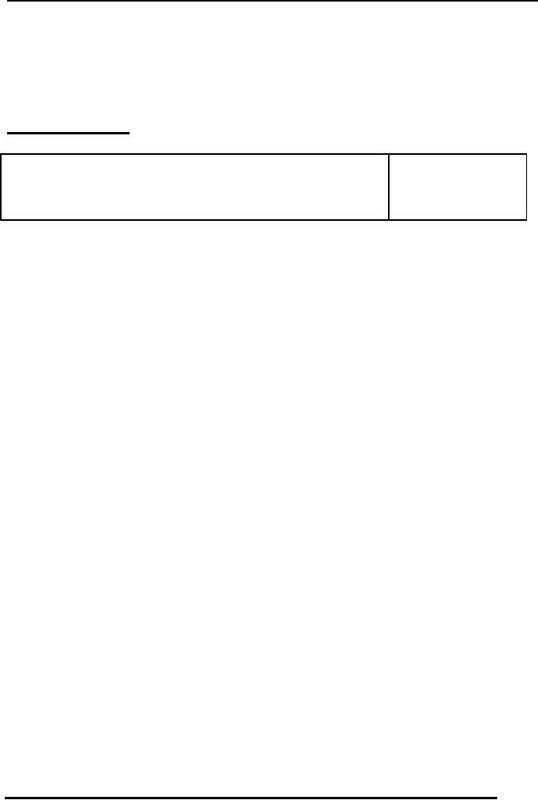 a DFD is expressed in Figure-11b. a DFD is expressed in Figure-12b. external entities. An example DFD at context level is shown in Figure: 13a and 13b. 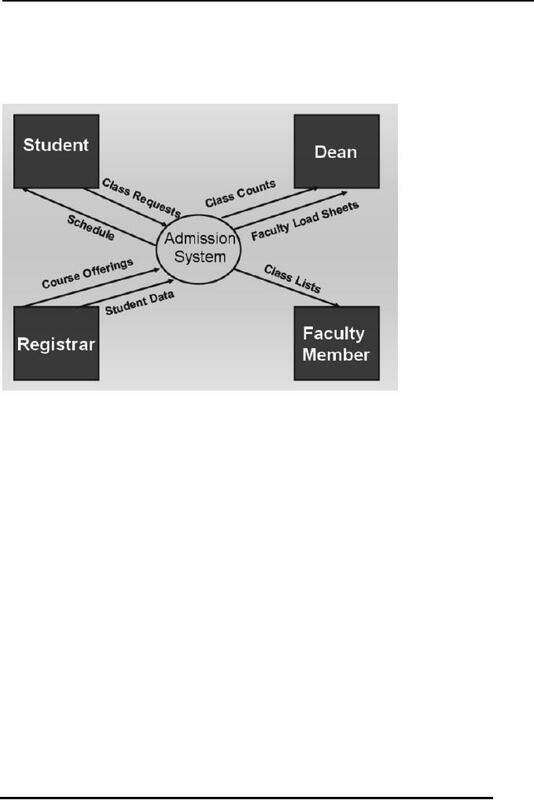 The level 0 Diagram in the DFD is used to describe the working of the whole system. be kept so that the depth of the Level 0 DFD is manageable. system, processes of the system or the data stores in different DFDs. expressed further its sub processes are number like 1.0, 1.1, and 1.2 and so on.